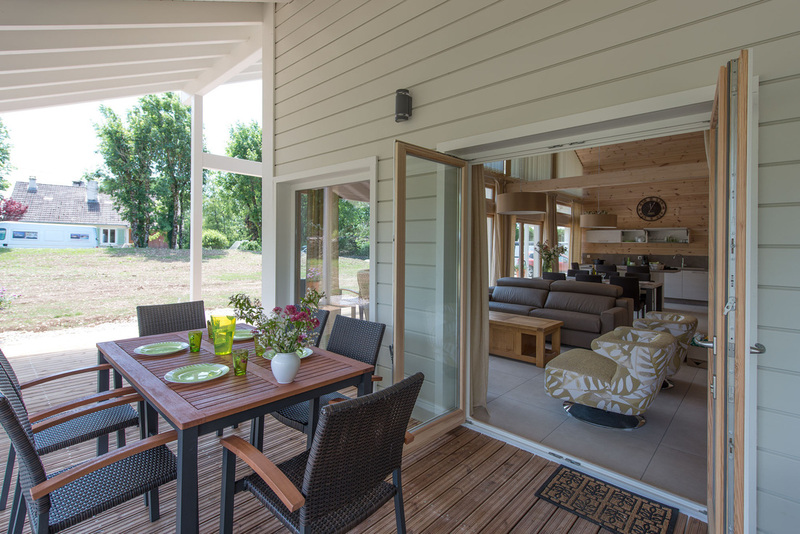 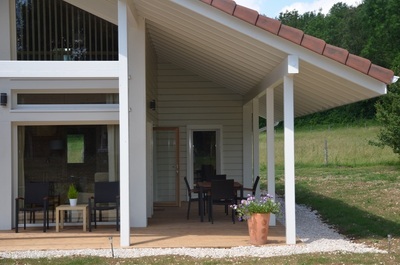 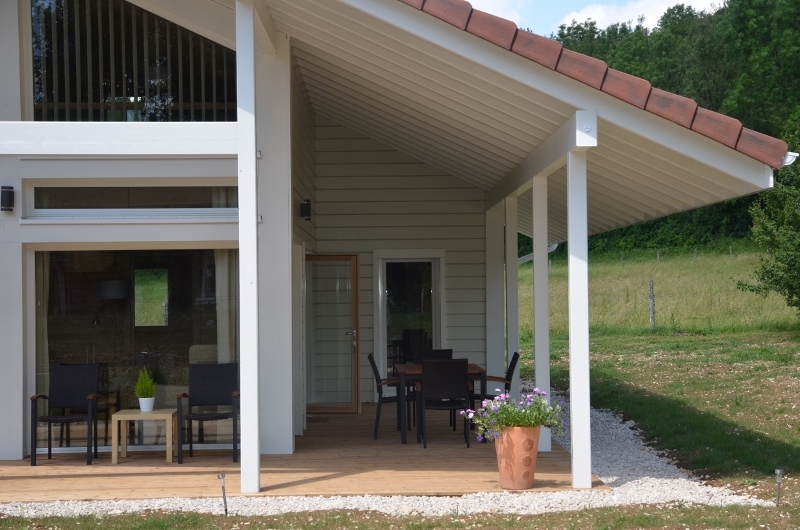 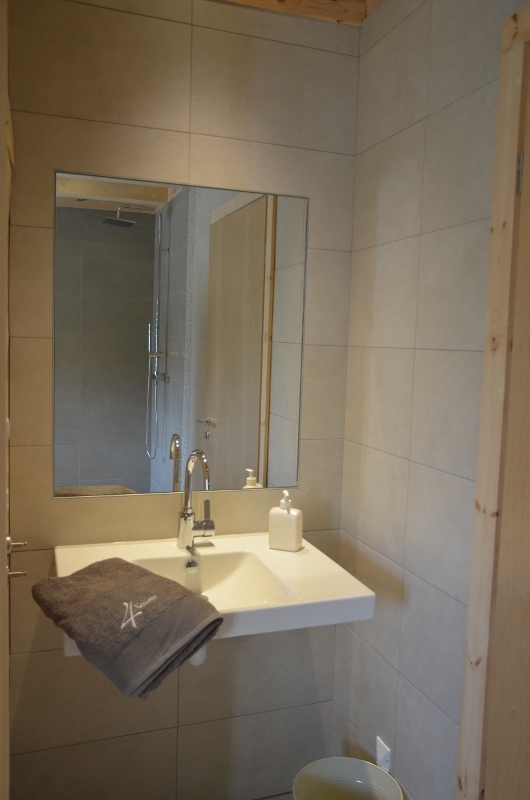 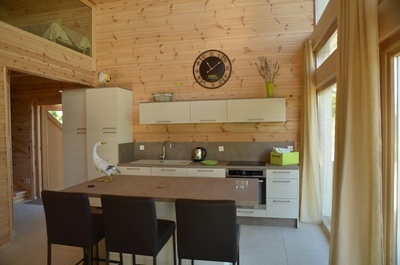 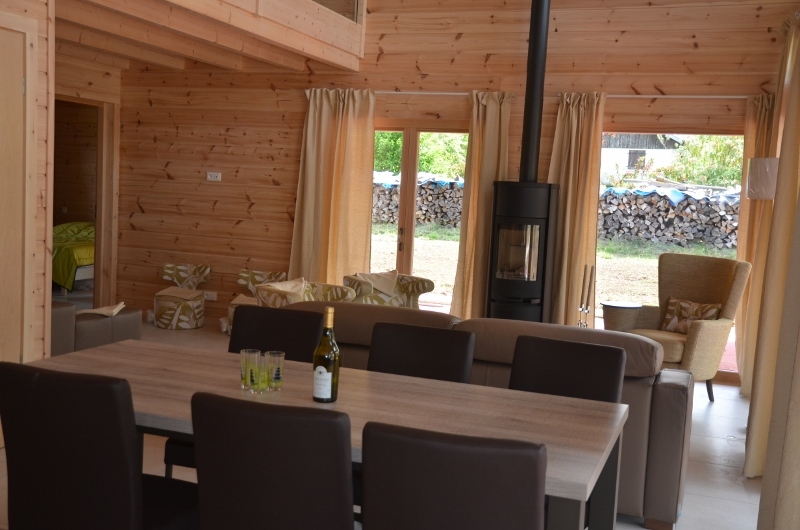 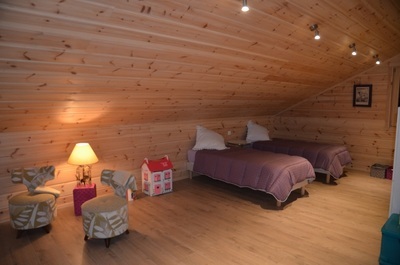 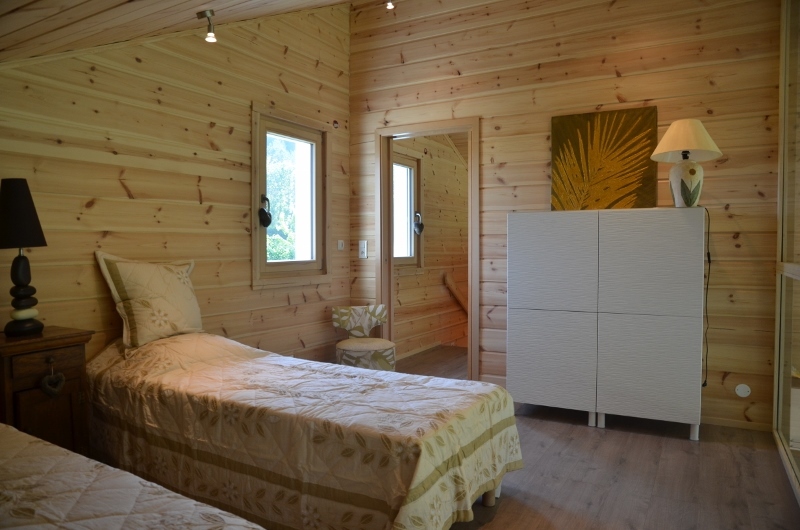 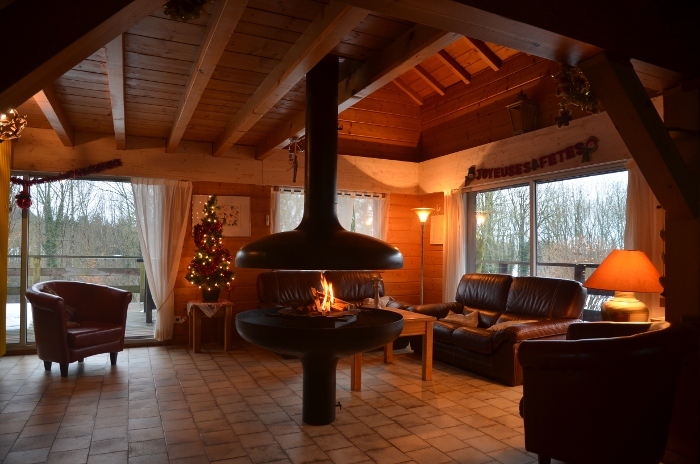 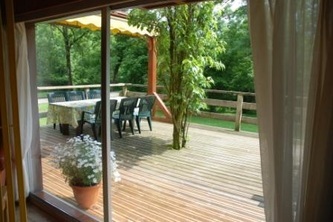 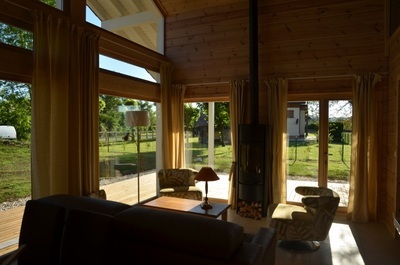 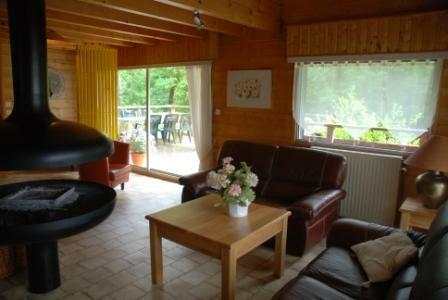 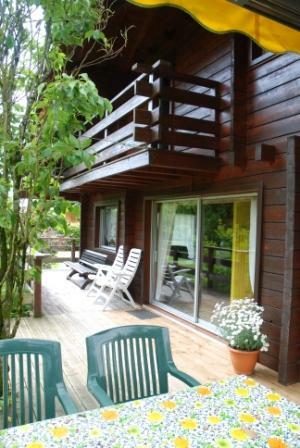 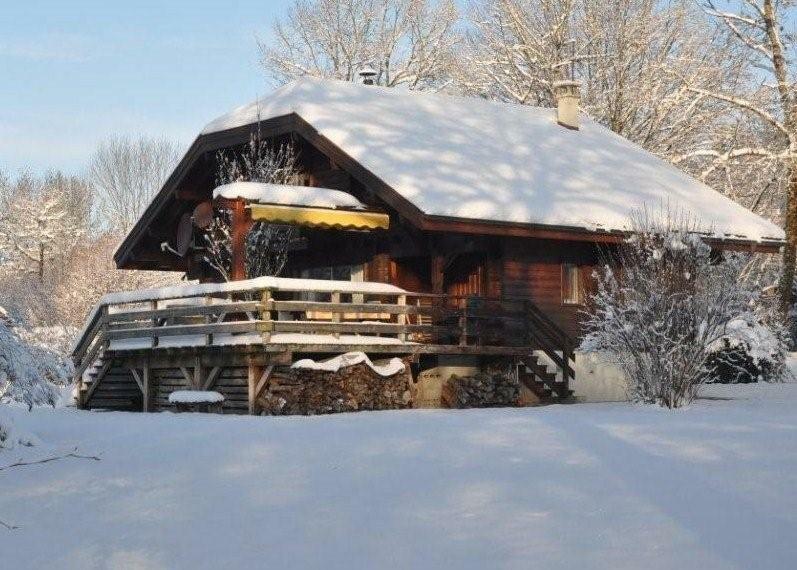 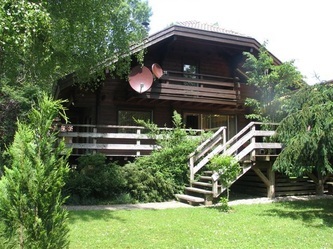 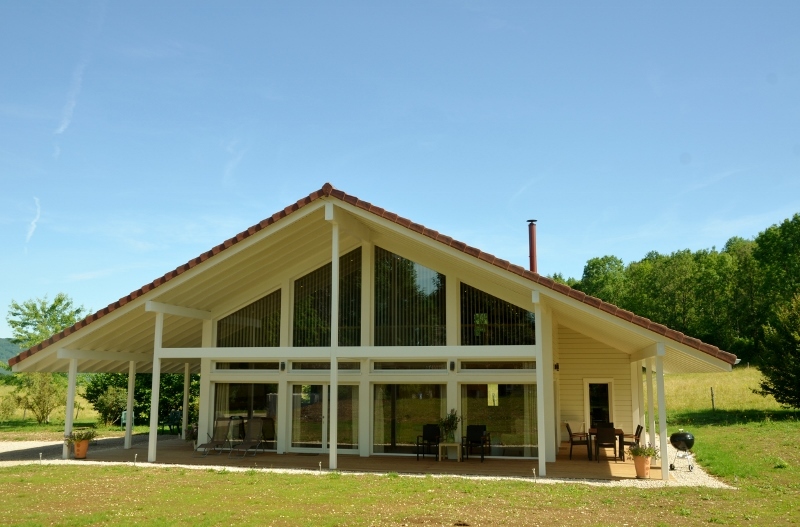 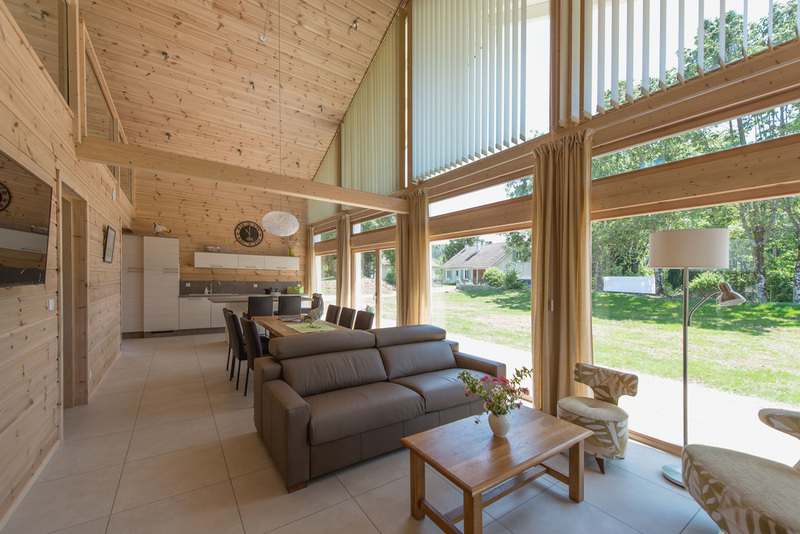 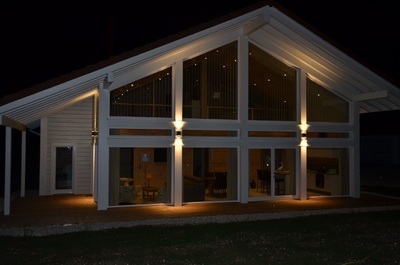 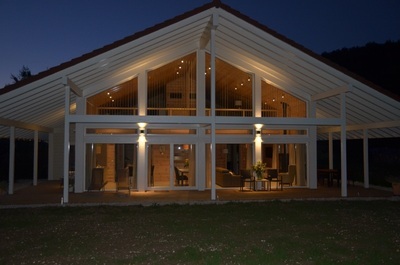 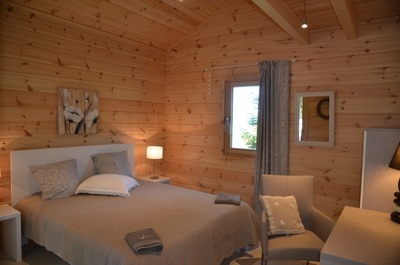 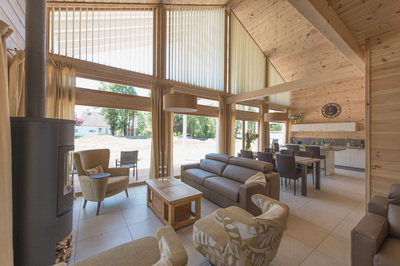 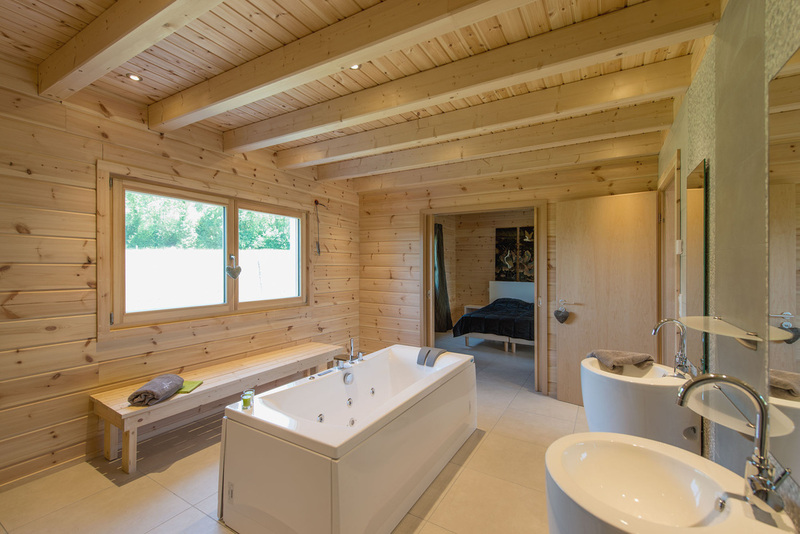 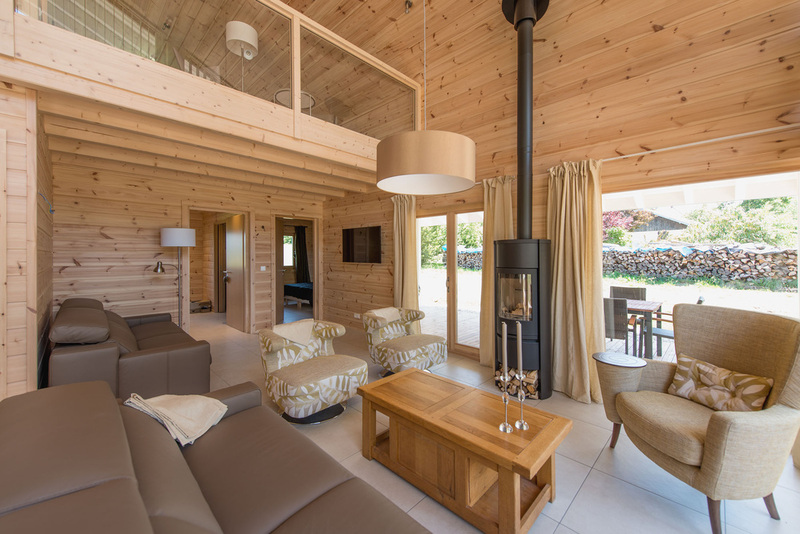 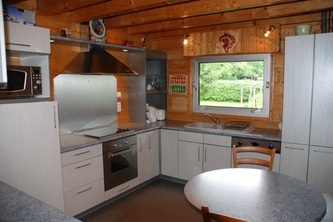 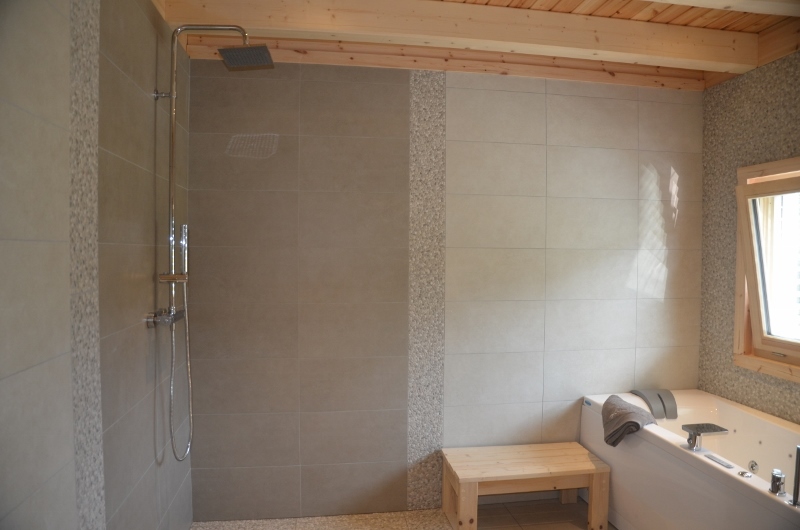 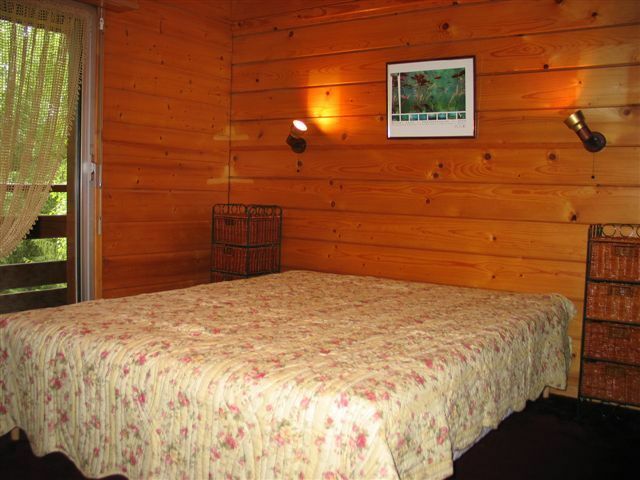 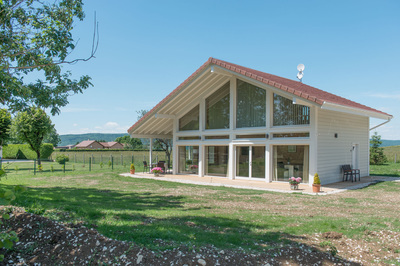 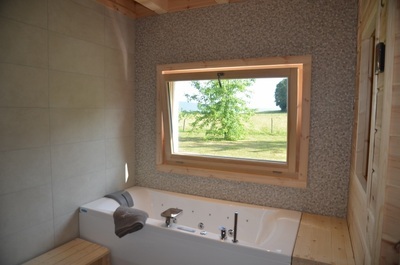 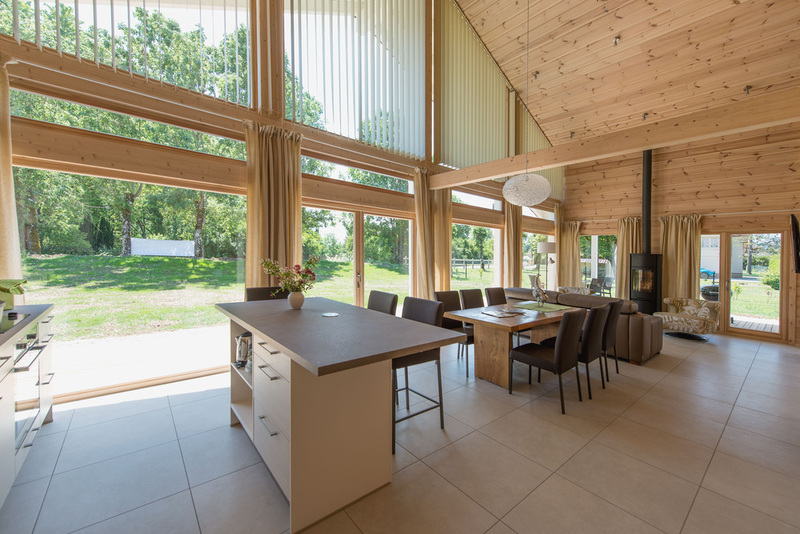 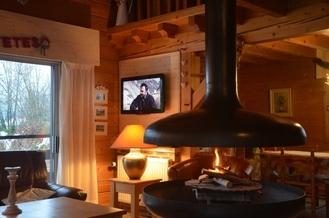 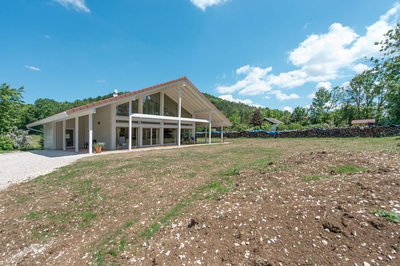 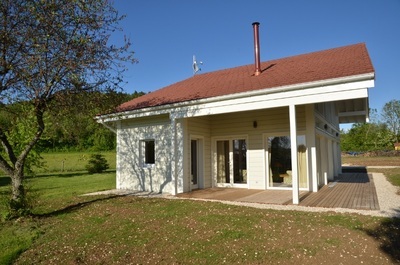 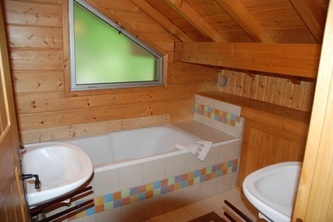 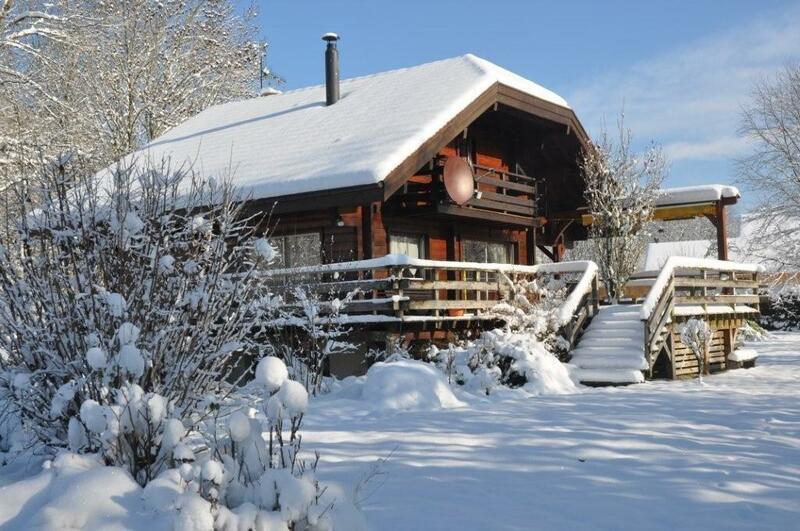 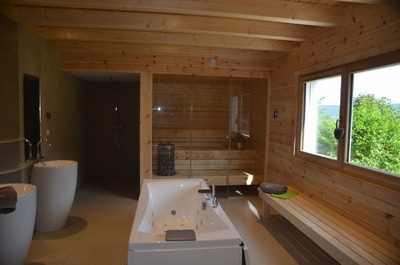 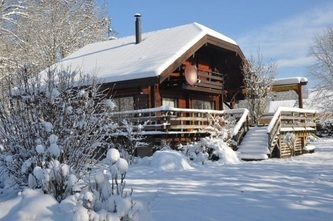 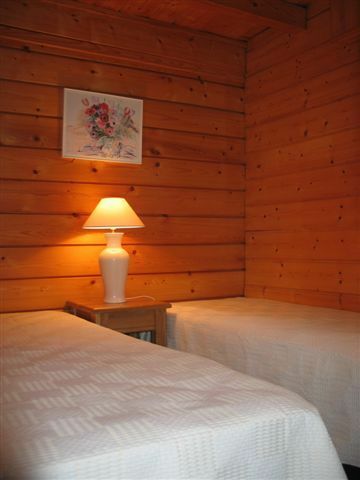 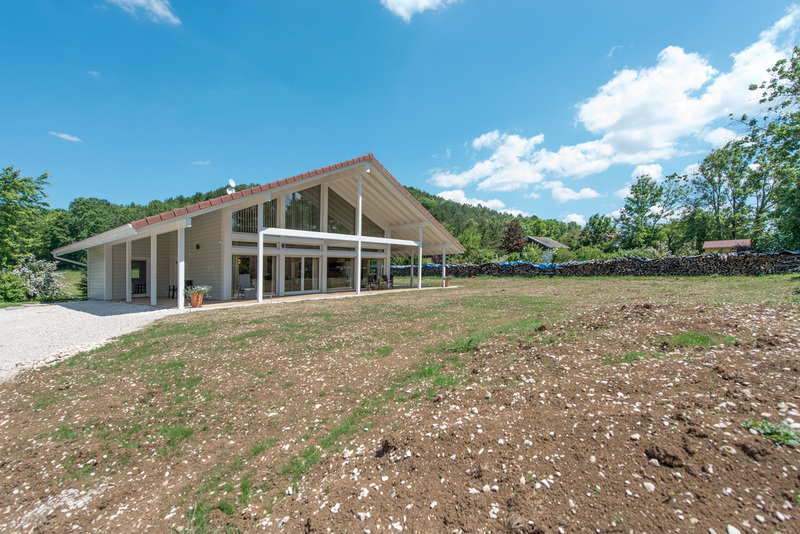 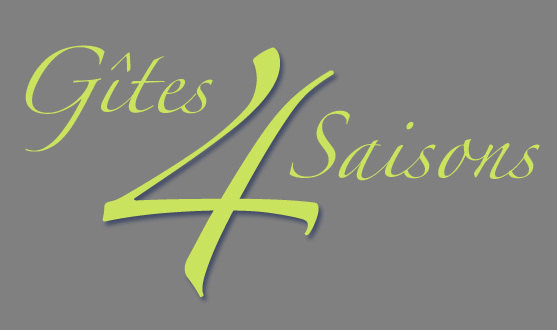 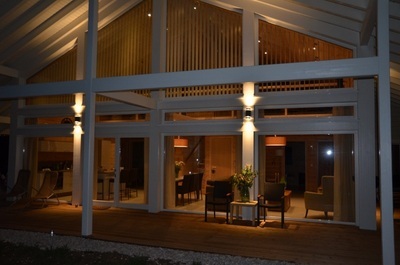 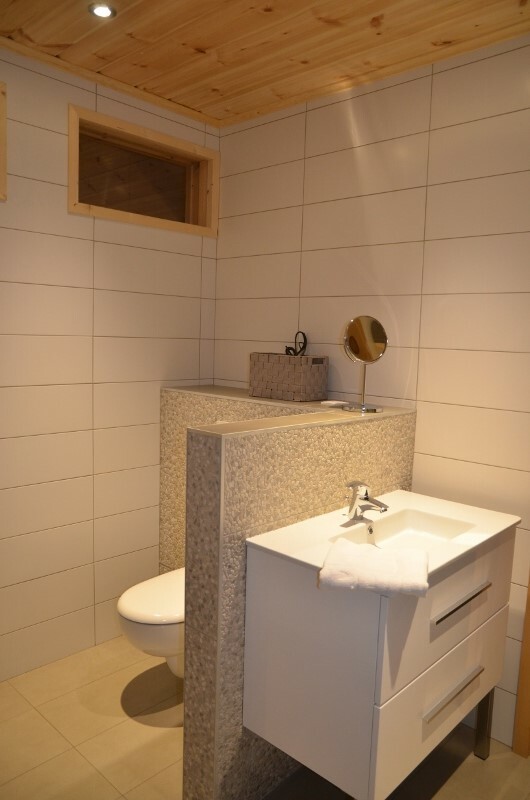 Our chalet de charme Jura, 100 m2, has a capacity of 4- 6 people. 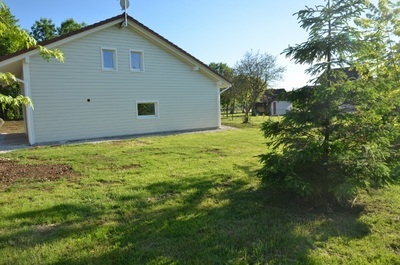 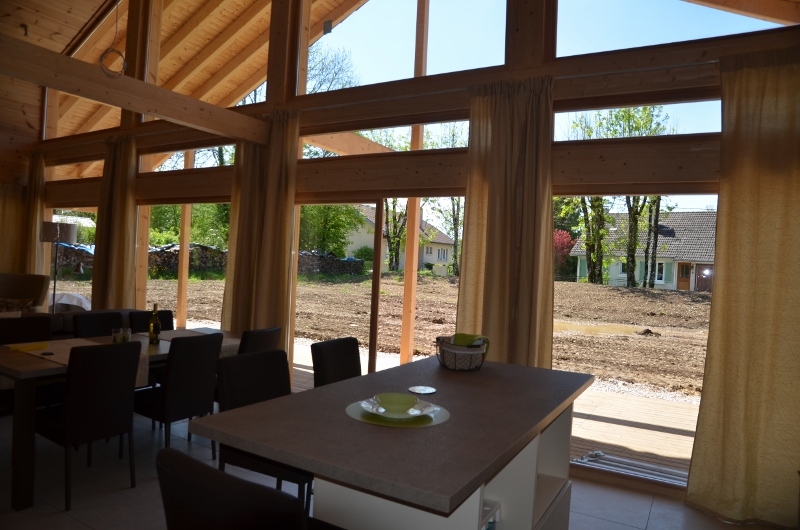 There is a big wooden terrass on the south,on half level, directly linked to living room with 2 big window doors.The inside and outside is all of wood and creates a very cosy atmosphere with the woodstove in the middle. 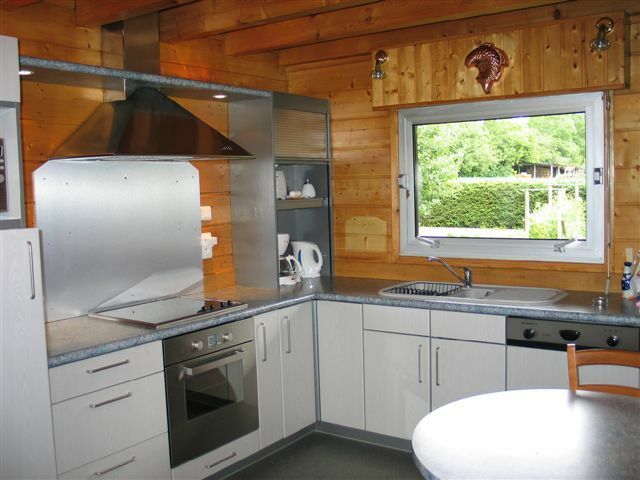 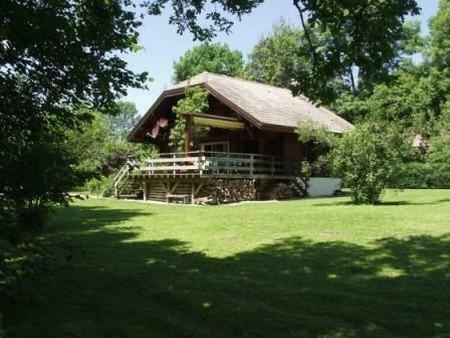 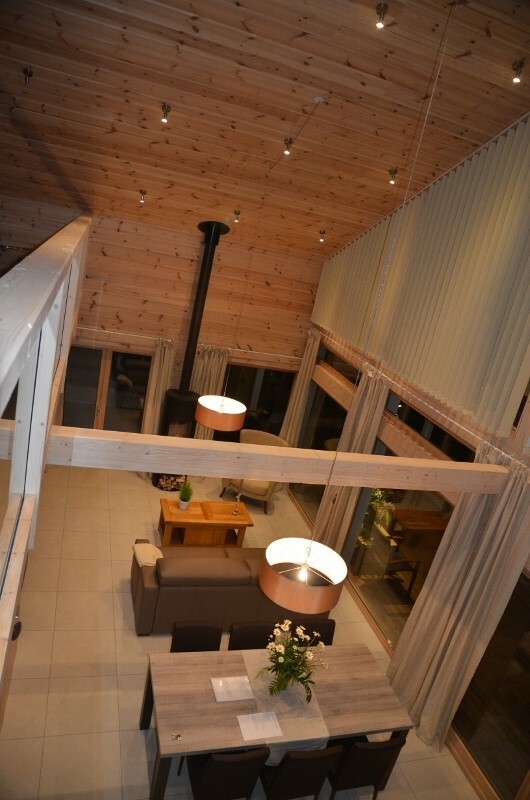 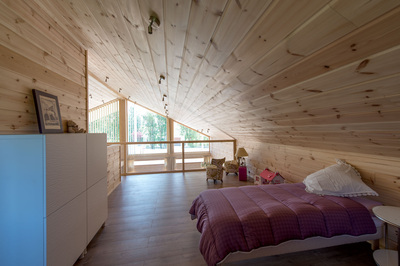 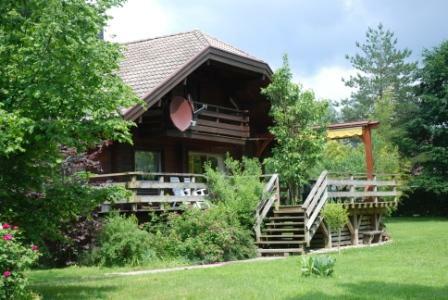 The chalet is situated in a lovely park of 3000m2, with view on the forest and its forestpath leading to the lake at 1km. 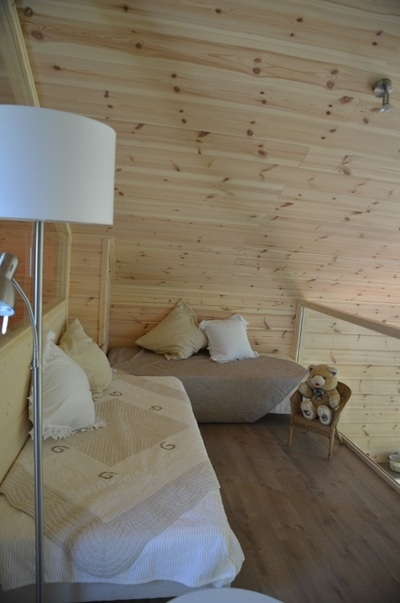 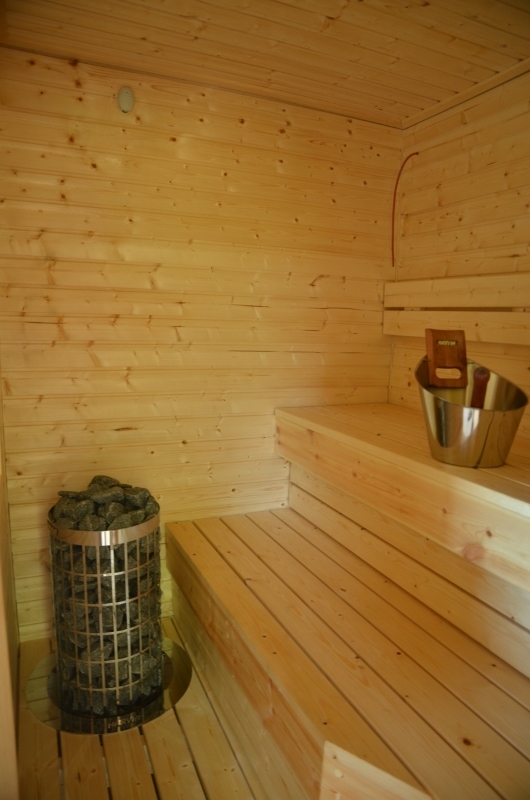 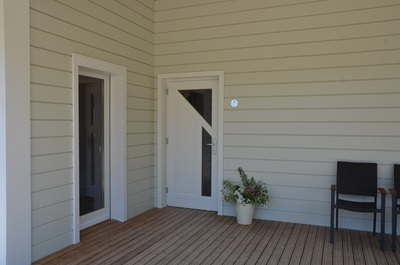 Our cabin is designed with natural wood products without solvents or rugs or carpet so for people with allergies and that is why our pets are not allowed.